Bird Flu or more correctly, avian flu, is much in the news and causing a lot of anxiety. Many people are worried that they may get it, and the papers are full of horror scenarios. over 100 strains of avian flu, but most of them do not infect humans. The current strain H5N1 can infect humans, but not easily. The number of cases of avian flu in humans in the current outbreak is very small, and almost all have come about by direct contact with infected or dead birds something that most of us are unlikely to experience. So far, the spread of H5N1 virus from person-to-person has been rare and has not continued beyond one person. In fact according to The Times (London, 23rd March 2006) only 184 confirmed cases have been reported worldwide so far from this strain, with 103 deaths. These have been in Cambodia, China, Indonesia, Thailand, Vietnam, and most recently, several cases in Turkey. What the authorities are much more concerned about is the strain mutating into a variation that can be transmitted between human beings, rather than just from bird to human. This has been designated as influenza A/H5N1. Humans do not have any resistance to this strain, because these viruses do not commonly infect humans. If a strain developed that could infect the human population, a pandemic would be likely with many people being infected and dying. The 1918 ‘Spanish flu’ is estimated to have killed 50 million people worldwide. At least four of the eight genes of H5N1 avian flu now contain mutations seen in that deadly strain. 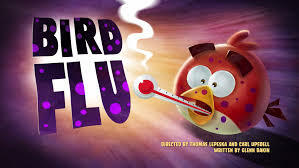 t understand completely how a bird virus becomes a human virus, but H5N1 is already showing some of the mutations necessary for it to become a human flu, but at the moment, in spite off all the panic, there is no pandemic flu strain. Research in the Netherlands and the USA has shown that while human influenza viruses are able to bind with receptors in the windpipe, H5N1 binds only much deeper inside the lungs. This makes it more difficult for the virus to infect humans, because the virus is less likely to reach the inner lungs than the windpipe. 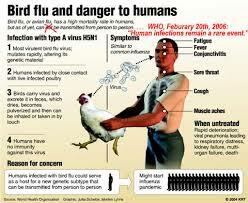 The H5N1 virus is also less likely to spread from human to human. Coughing and sneezing easily transmits viruses that have multiplied in the windpipe, but not those located deep in the lungs. If H5N1 manages to mutate so that it can replicate in the upper respiratory tract, a pandemic becomes more likely. Scientists are constantly monitoring the virus for this mutation. So should we be concerned? There have been many scares over the years that have not come to anything, and this could turn out to be one of those too, but it is worth taking some sensible precautions rather than just relying on the scientists to find a powerful enough solution. Having a strong immune system has to be the first line of defence. Eating a good diet, taking exercise, getting plenty of sleep, and reducing stress can all lead to a stronger immune system that can fight more effectively against the bugs of this world and any dangerous mutations. PREVIOUS POST Previous post: About Bird Flu: Who Is at Greatest Risk of Dying?